A few months ago, Federal Ammunition announced American Eagle Syntech—a new concept for range use. While there are many highly-developed loads for personal defense, seldom has much effort been expended in developing range ammunition. 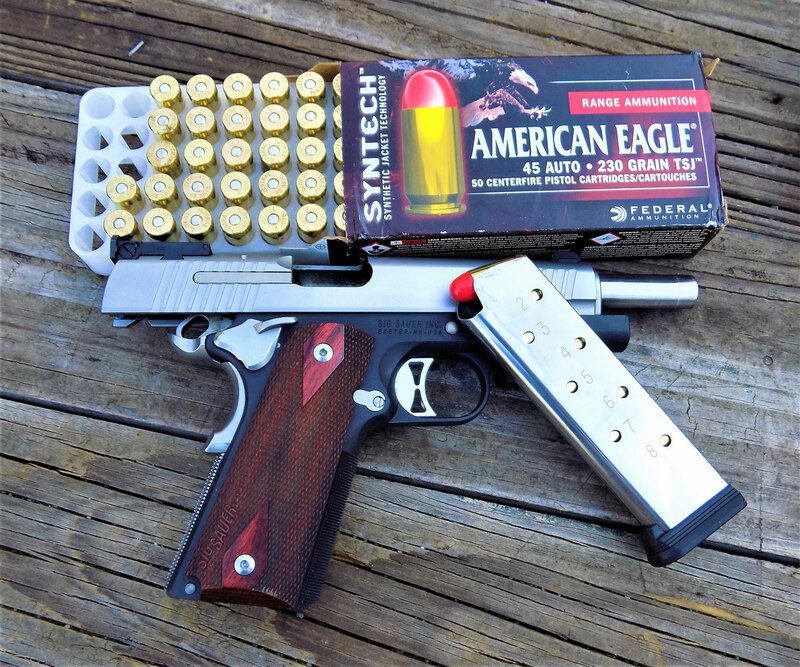 American Eagle Syntech is the first range-specific ammunition designed to reduce fouling and extend barrel life with a high-tech polymer bullet coating. 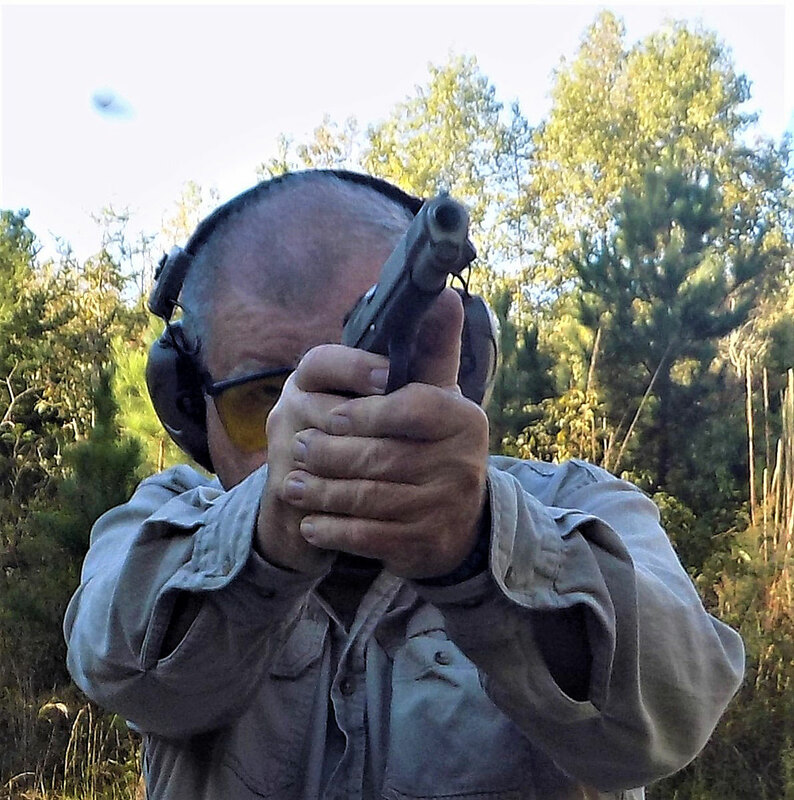 Paired with the SIG 1911, Federal’s Syntech .45 ACP exhibited excellent performance. Combined with specialized clean-burning powders, your gun should stay cleaner, longer, so you can shoot more—and shoot better. The exclusive Catalyst primer provides the most reliable, consistent ignition possible. The primer is a small pistol primer, not the large primer usually associated with .45 ACP ammunition. The Syntech system offers target shooters among the most advanced range ammunition available, and a perfect way for handgun owners to protect their investment from the inside out. I have used the Syntech 9mm and .40 caliber offerings extensively. The .45 ACP is my favorite self-loading handgun cartridge, and I have finally got my hands on a good supply of the Syntech in .45 ACP. Let’s look at the specifics. First, the polymer-coated bullet eliminates lead or metal contact with the bore. There is virtually no fouling. Powder selection has been developed to provide a full powder burn, limited muzzle flash, and less powder ash. While I believe in cleaning the handgun and in carefully maintaining the pistol, the Syntech design will make for less cleaning. Firing from the retention position is a sure test of handgun and ammunition reliability. Syntech loads were reliable. This lowered frequency of cleaning will appeal to law enforcement. Federal states that there will be less “splash back” from steel training targets due to the copper spall. I have tested the 9mm and .40 loads extensively and ran them in training classes with excellent results. There was some concern that the polymer coating might not produce the best accuracy. This has not been a concern in my testing. While there are MATCH grade loads, and certain handloads that offer excellent accuracy in comparison to most personal defense and training loads, a loading that is used for tactical training need not be that accurate. However, my results show that the Syntech loads are plenty accurate for most uses. To test the .45 ACP Syntech, I traveled to the range with two of my favorite 1911 handguns. One is a SIG 1911, a two-tone version with adjustable sights. I also took a favorite carry gun, the Ruger SR1911 lightweight Commander. I fired 200 rounds in each pistol. 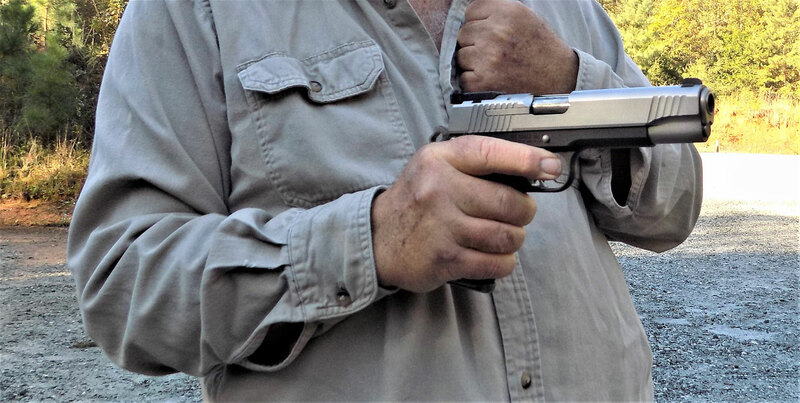 From the five-inch barrel SIG 1911, the Syntech load averaged 799 fps and 784 fps from the 4.25-inch Commander. This is about where I like to keep my handloads using 230-grain lead bullets. Although, I can run a 230-grain bullet at 750 fps and maintain good results, in most pistols. With a spent case in the air, the author is back on target. There were no failures to feed, chamber, fire, or eject with the Syntech loading. In addition to the Syntech leading the bore less, it is also far less smoky than a lead bullet load as the lead bullet burns off its lubricant. I loaded 10 MecGar magazines and began firing the SIG 1911 at 7, 10, and 15 yards. Control was excellent with this load. There was no smoke to speak of, and I enjoyed the range time very much. The Syntech load gave good results firing against steel plates. To test accuracy potential, I elected to fire from a solid barricade firing rest. With the target set at 20 yards, I fired two 5-shot groups. The result was an average group of 2.0 inches. This is accurate enough for any training chore. Switching to the Commander, recoil was not a factor with this light recoiling ammunition. Practice sessions with the Commander will not be grueling with proper loads. 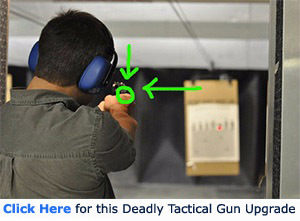 I practice drawing and executing double taps on man-sized targets. The Syntech load is a good practice load with its light recoil. I also tested the .45 ACP Syntech from a solid braced barricade. The average of two 5-shot groups was three inches at 20 yards. This is average for this light 1911 handgun. I find the new Syntech ammunition a good addition to the firearms scene. We will fire far more rounds of training ammunition than hollow point or premium loads and a special-purpose training load makes sense. 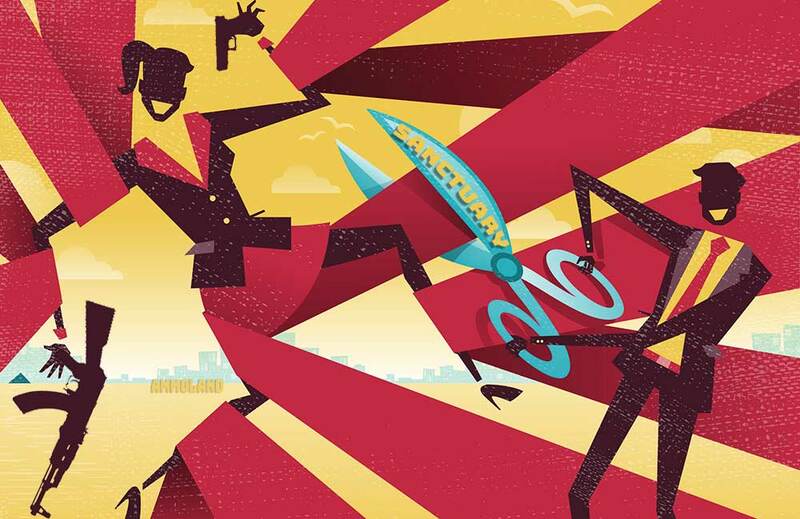 Coupled with Federal quality you cannot go wrong. Do you train or compete with Federal Syntech loads?